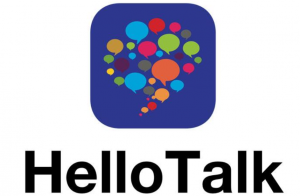 I planned to review HelloTalk during the summer of 2015, but I wasn’t impressed with it. There were a lot of Brazilians on it, but I didn’t find too many who stayed on the app long enough to actually help me learn Brazilian Portuguese! So, I shelved this review and I deleted the app. Fast forward to early December, 2015. I was playing around on my iPhone and decided to download HelloTalk again for another go. July, 2015 must have been a very bad time because there are tons of Brazilian HelloTalk users eager to help me learn Brazilian Portuguese now. Whatever the case, I felt obligated to write-up this review because I’ve found HelloTalk helpful in finding Brazilians to have language exchange. I don’t recommend too many things on this site, so this review article is a rarity. Nonetheless, it’s Rio In A Week certified. The first thing that comes to mind is the accessibility to Brazilians who want to learn English and converse with you. There aren’t too many apps that let you contact Brazilians who are living in Brazil and strike up a conversation instantly. It’s really a game changer in language learning and it’s a great tool for practicing your Portuguese skills. Most of you don’t need to learn how to write professionally in Portuguese. Texting would suffice and HelloTalk is a great platform to do it. I really like that with HelloTalk you can connect with Brazilians in your city. If you live in New York City, all you have to do is search for Brazilian speakers in NYC and see who pops up (but don’t get your hopes up, there aren’t too many Brazilians on HelloTalk who are living in America. They already know English usually). Check out this article about meeting Brazilians in your city offline too. The grammar correction feature is beneficial as well. A lot of you guys are just starting to learn Brazilian Portuguese and will make a lot of mistakes. So it’s pretty cool to have a native Portuguese speaker correct your errors for free. But don’t forget to correct their errors in English too. Don’t judge my English corrections. I also like that HelloTalk is FREE for studying one language. If you download the app, love it and want to try the PRO feature, the good people at HelloTalk have given Rio In A Week readers 3 months of Pro feature benefits by sending them the code “rioinaweek2016”. So, if you are really serious about learning Brazilian Portuguese this year, you might want to take advantage of the offer. The code expires 02/14/2016. A lot of you will download the app after this review and have trouble finding consistent language partners like I did during my first time using the app. That’s my only complaint with the HelloTalk app. But it can easily be overcome if you just give the app time. I have problems with patience that I’m working on this new year, so hopefully you are more patient than me. The best strategy to finding Brazilian partners on HelloTalk is to add the maximum number of language partners to your friend’s list every day. At the time of this article, the maximum number is 20 partners a day. If you add 20 people everyday for the 1st week, that is 140 potential people who can help you learn Brazilian Portuguese. Some people will add you too, so you should have more than enough people to talk to after a while. I’ve actually hidden myself from search now because I have too many partners. A lot of guys on here are interested in Brazilian women. They are very beautiful and a pleasure to get to know. But HelloTalk is NOT a dating app. They even hint at it when you try to enlarge someone’s profile picture. It’s just a language learning app, guys. Not a dating app. 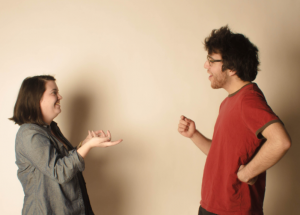 It’s best to use tact with the app and only use it for language exchange, not for flirting. With that said, just because it’s not a dating app doesn’t mean there won’t be mutual attraction between two users. You may be using HelloTalk to learn Brazilian Portuguese, but meet someone who you hit it off with. If the conversation moves from HelloTalk to other apps such as Whatsapp or Kik, then the game changes. But there are women who complain about guys sending them unsolicited pictures and messages on the app, so don’t force your interest on a woman who isn’t interested in you. Just remember that people are on it to learn a language, not to find a lover. Respect the people who add you as a friend and keep it cool. HelloTalk is a great phone app to learn Brazilian Portuguese or any language you are interested in. I’m glad I gave it another shot and I recommend it to anyone who really wants to learn Portuguese. The language learning app is particularly valuable for mastering reading and writing in Brazilian Portuguese. 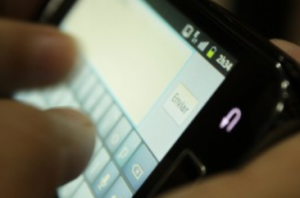 Brazilians talk and write differently than what you learn in a Portuguese class, so it’s great to practice texting and reading how they naturally converse in writing. HelloTalk is available on the App Store (iPhone) and on Google Play (Android App).